When is the Best Time to Buy Bitcoin in 2019? Bitcoin is not a company or stock; it’s a virtual currency. If you still don’t quite get what Bitcoin is, there are plenty of videos online and articles on this site that can give you a clear explanation. So, when you finally want to invest in crypto, you are essentially buying a currency like the US Dollar or Euro. 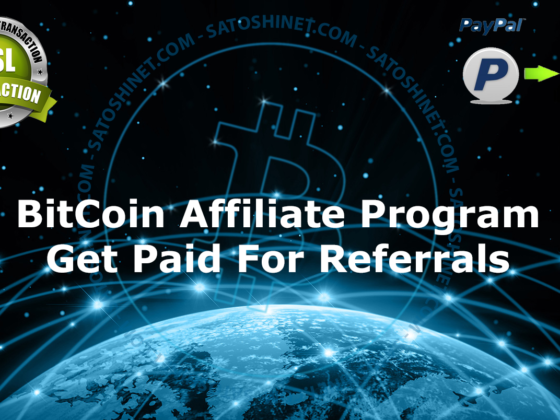 However, there are also some specific strategies for investing in BTC. And one of them is to define the best day and the best time to buy Bitcoin. Is now a good time to buy BTC? Let’s see how professionals will answer this question. Economists from Yale University have come up with a technique to predict the price of BTC based on the cryptocurrency’s past behavior. Yukun Liu and Aleh Tsyvinski analyzed seven years of BTC price data to figure out which indicators can be used to determine the future price of BTC. Their findings, published in The National Bureau of Economic Researh, established that all cryptocurrencies are entirely distinct from stocks, currencies and other commodities in terms of factors affecting their market movements. “In contrast, we show that the cryptocurrency returns can be predicted by factors which are specific to cryptocurrency markets,” the study explains. 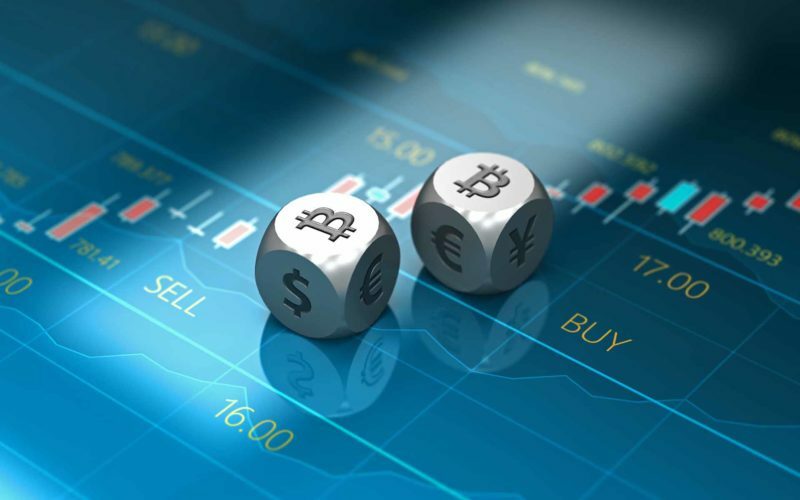 This momentum effect was found to strongly affect cryptocurrency, meaning that if Bitcoin is performing well then it is likely to continue doing so, at least in the short-term. According to their strategy, an investor should buy BTC if its value increases more than 20 per cent in the previous week. Is it a good time to buy cryptocurrency? Or better to ask is it the right day today to buy BTC? Let’s try to analyze the daily opening price of BTC for a several year period. 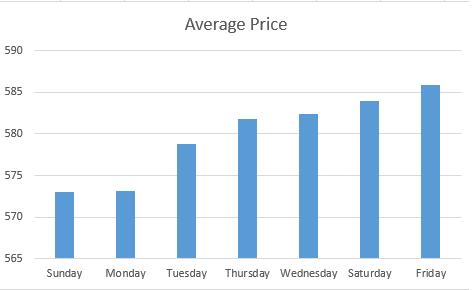 We can get the data from the CrocoSource, extract the exact day of the week from each line and then calculate the average price of BTC for each day of the week. As you can see, the average Bitcoin prices are the lowest on Sundays, but Monday is very close too. And now let’s try to do the same analysis with a smaller fraction of the data and analyze the Bitcoin prices on each day during the year. The analysis generally follows the same trend, but this time average Bitcoin prices is lowest on Monday. Sunday/Monday might be the cheapest days (thus, providing good time to buy BTC) since trading tends to slow down over the weekends and there is generally less demand. While the highest average Bitcoin prices in both analyses are on Fridays closely followed by Saturday. There is also a different theory that many people interested in Bitcoin arrive at the decision to make a purchase over weekends. These decisions are then implemented at the beginning of the week. The first purchases are made on Mondays. On Tuesdays those who were waiting for confirmation from rising prices follow suit and buy as well. Thereafter the action tails off until the beginning of the next week. Other experienced traders suggest avoiding the middle and ends of the month. Typically, this is when people get paid and usually you’ll see an increase in purchasing around those times which drives the price up. When is the best time to buy Bitcoin? It’s not the easy task, but we can try to give a definite answer. Throughout its history, Bitcoin has generally increased in value at a very fast pace, followed by a slow, steady downfall until it stabilizes. Use tools like Bitcoin Wisdom or Cryptowatch to analyze charts and understand Bitcoin’s price history. Global chaos is generally seen as beneficial to Bitcoin’s price since cryptocurrency is apolitical and sits outside the control or influence of any particulate government. When thinking about how economics and politics will affect Bitcoin’s price, it’s important to think on a global scale and not just about what’s happening in a single country. Searching for the best time betrays a focus on short-term price performance and chasing quick returns. This mindset is ill-advised. Serious crypto adopters do not care about short term profits, and anyone eager to buy BTC also should not. Bitcoin is a revolutionary form of sound money, not a get-rich-quick scheme. The best thing you can do is to adopt three incredibly simple principles before buying any coins: educate yourself, buy the dips, and never sell. If you don’t understand what cryptocurrency is, you should not buy it. Do not frantically chase quick profits or parabolic price patterns. Nowadays, there are multiple resources available on the internet that can help you gain all the necessary knowledge. Yes, it may take time. But this is the only right way to start crypto trading. To learn about Bitcoin, visit James Lopp’s website and browse this list of reading materials from the Nakamoto Institute. 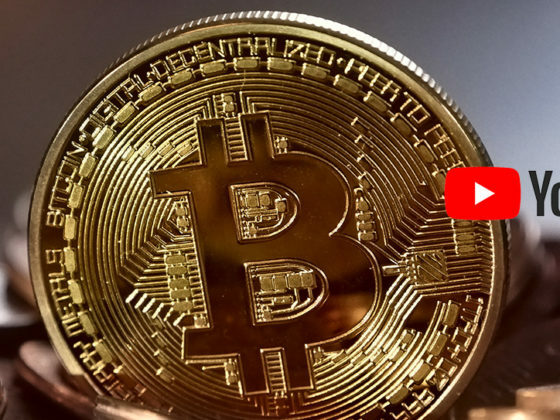 Watch any of the videos on Andreas Antonopoulos’ YouTube channel too. As well as YouMeAndBTC and Noded podcasts for entertaining and high-quality crypto discussion! Playing the price to find an ideal entry point burns more people than it benefits. And we, therefore, offer no opinions on when to buy it. Part of this philosophy also requires anyone buying BTC to only spend as much money as they are entirely comfortable losing completely. Some crypto investors only nominally accept this idea. We recommend serious consideration. Holding Bitcoin long-term is the best strategy. Why not sell and take profits? Because Bitcoin is a commodity in the process of monetizing. It has been a long process with many ups and downs, but it would be foolish to accumulate fiat profits which end up worthless. When is the best time to buy cryptocurrencies? Despite any theories, efficient markets do not exist in the real world. Human habits, regulations or manipulation can result in recurring disparities in price patterns. Statistical oddities and many other patterns can be quickly found with the help of the Seasonax app on Bloomberg or Thomson-Reuters systems. Unlike stocks, bonds, or buying fiat, cryptocurrencies are highly volatile, much more so than traditional investments. This can be both good and bad: on one hand, you can make some quick and easy profits on a good day, but you could also lose your entire investment in the next. I encourage you to look and research further than the data available in this post if you ever decide to buy some BTC.